Today is St. Patrick's Day and like every year, the search engine get into their green spirit. Today, Google has a jumping shamrock animated Google doodle. It is pretty different than the dancing shamrocks from last year. 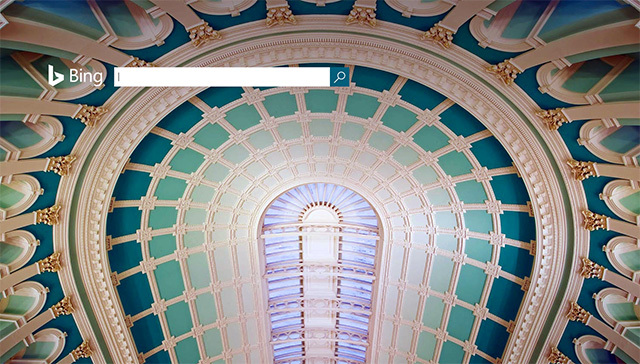 Both Ask.com and Bing have beautiful backgrounds and Dogpile has the pot of gold. For the past year's logos and designs from the search engines see 2015, 2014, 2013, 2012, 2011, 2010, 2009, 2008, 2007, 2006, 2005 and 2004.